Providing the setting for relaxing breaks, Kamala is a seaside village on the island of Phuket. 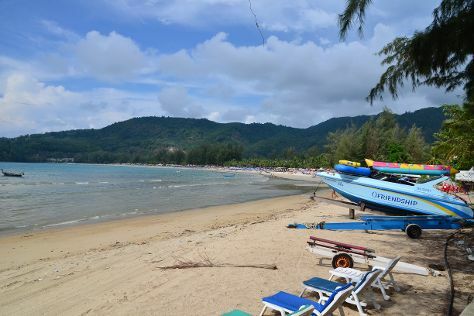 Kamala's beach offers a much quieter stretch of sand than nearby Patong, its bay enclosed by limestone cliffs and its hills covered in lush green forest. Enjoy the seclusion of this hidden gem on a peaceful vacation in Kamala, or take guided tours across the island to see its busier spots and main attractions. Kamala is in Kathu. Plan the details of your Kamala holiday and any onward adventuring with our easy-to-use Thailand online route planner .